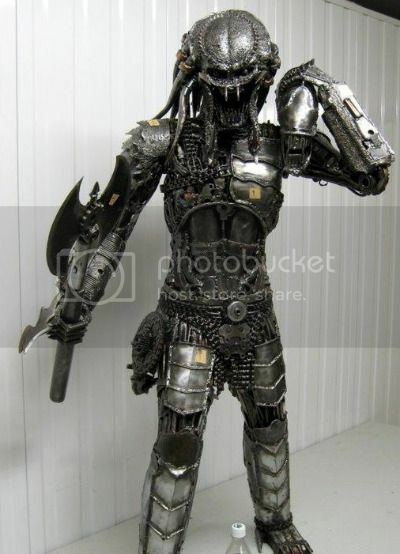 For the low, low price of $2,500, you can have the fanciest four-foot-tall decorative Predator made from sheet metal, washers, chain, bicycle spokes, and other bits of recycled steel available on the internet tubes today. They’ll throw in the Alien head for free. What’s sad is that I’d *totally* buy that if I had, say, won the lottery.